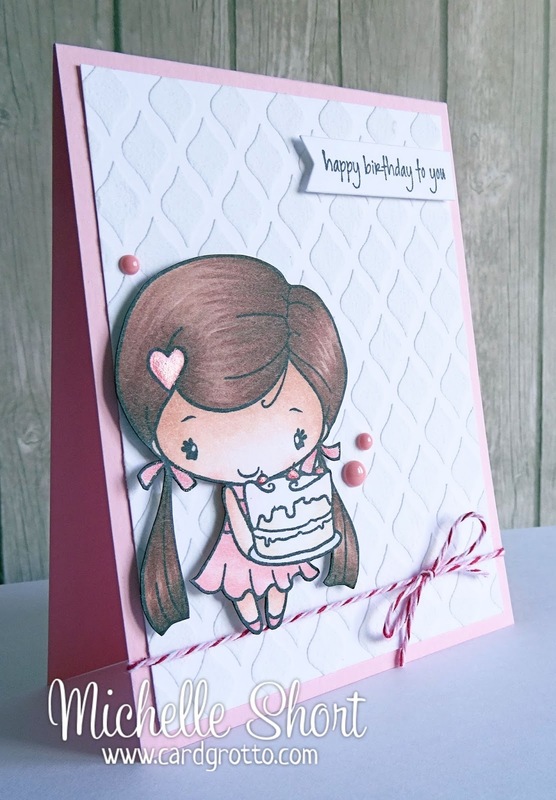 Hello there, today I am using the gorgeous Birthday Anya 3 from The Greeting Farm for my DTDF Blog make. I have teemed her up by adding her to a base made using the MFT Fishnet Stencil and some embossing paste - I love the design of this stencil. I really like the look of it as a background for the image too. Thank you so much for visiting me today, I hope you are all well. Have a lovely day! Stunning colouring, as ever! Lovely card and that background is fabulous. 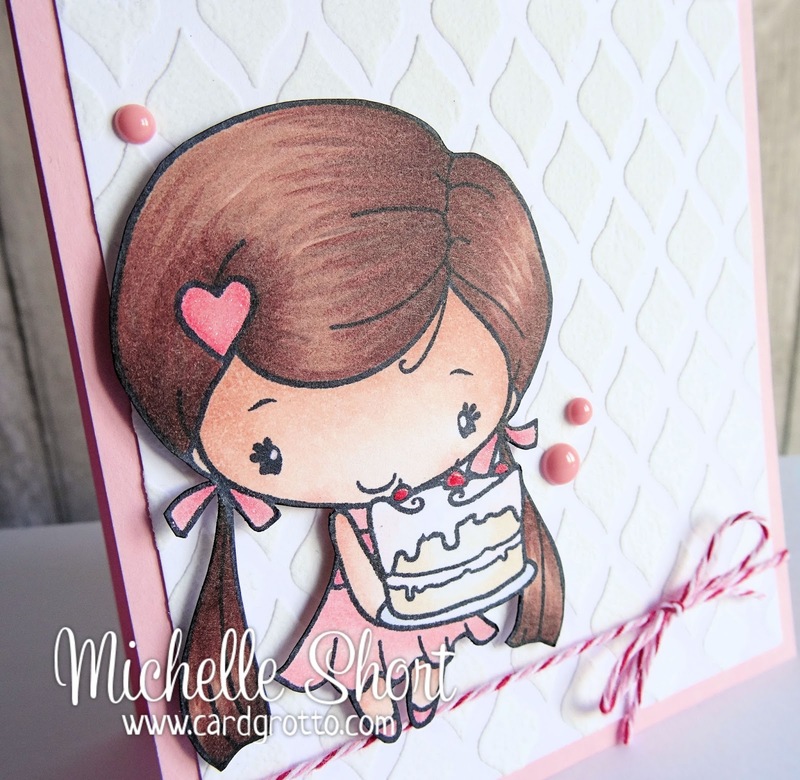 This is gorgeous Michelle, I love the sweet image, beautiful colouring and the background looks fabulous. Oh my...she is just too cute! And that little cake, so sweet, what a fun way to say happy birthday. 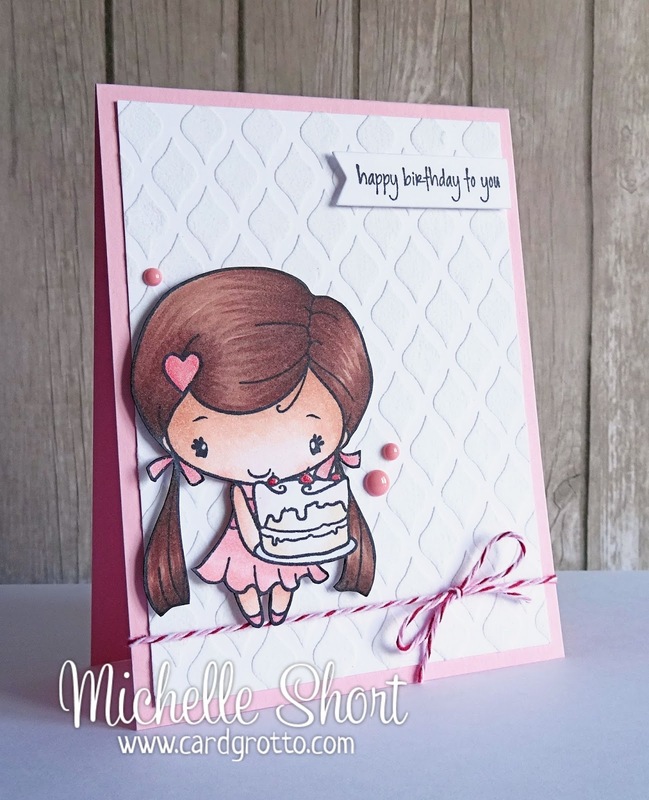 Such a pretty card, Michelle! I love how you colored Anya, and that you chose embossing paste for your background! Beautiful texture and lovely design!